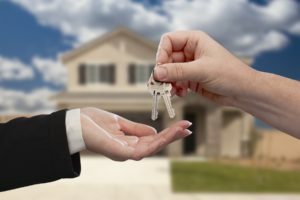 If you’re considering the purchase of a home in the South Carolina Lowcountry, it’s important to align yourself with a trusted real estate advisor who is familiar with the areas where you’re looking. While many buyers get overwhelmed at the prospect of purchasing a home, working with someone who intimately knows these communities can take the guesswork out of the process and even make the experience enjoyable. My objective is simple: to work alongside my clients and understand their unique real estate objectives so I can show them homes that meet their needs and exceed their expectations. With over thirty years in the local real estate industry, my clients value my commitment to their goals and and my trusted counsel during the home buying process. Above everything else, I seek to ensure that you, as the buyer, are confident and delighted with your purchasing experience. Whether you’re a first-time buyer or you’re relocating to the area, it’s my pleasure to work with buyers who are looking for a new home, an investment property, or a commercial parcel. I want to make sure that no question is left unanswered and that you are able to find the perfect property for the price and terms that appeal to you. I would love to discuss your unique specifications in finding just the right property to purchase. As your Lowcountry Real Estate Specialist, it is my pleasure to assist you, so contact me today.